I love to eat at Denny’s mainly because 2 of my kids will eat free when I purchase a meal and I can get breakfast anytime of the day. Denny’s is another cheap eat for me where I usually spend less then $10 whenever we visit. The great thing is that the waitresses will write two different checks/orders for one table. I had went for my sons birthday and ask the waitress to write two separate checks for the same table. One check was for one paying adult meal, and two kids meal free, and the other check was for a free grand slam for my sons birthday, and since he is under 18, he didn’t have to show ID. I was supposed to use a 20% check on that visit with my meal, but I totally forgot to but hey, there is always next time. Please click on the link below to get your Denny’s and check when kids eat free at your location because every location have different days and time. The staff here are very friendly as well, they did mess up one of my order, but was more then willing to redo my order for my little guy. To receive the birthday grand slam offer, you will have to sign up to Dennys email club and enter everyone’s birthdays. Kids don’t have to show any proof of birthday, but adults have to show an ID with their birthday. 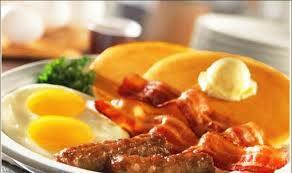 Plese click on the following link to join Dennys club and start receiving your FreeNess on http://dennysd.in/17V4jzl.